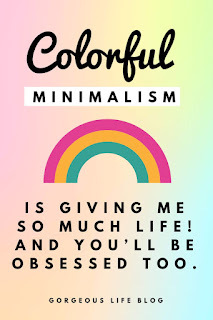 Colorful Minimalism: Why I am absolutely obsessed and how to make it happen in your life. If you’ve read my blog before, you might already be aware that I have been transitioning to a minimalist lifestyle for the past couple of years and it has absolutely changed my entire life. I love the idea of living with less and doing more in life. I am not materialistic by any means and I am not normally impressed by ‘stuff’ I love to collect laughs and memories with my friends and family. In fact, we are planning to start traveling the country as my girls get older and I just can’t wait! Over the years I have de-cluttered my home, changed the way I shop, changed the way I dressed, change the way I teach my kids too. I teach them that they don’t need to be super focused on materialistic items. Of course, it is okay to have things and want things, but many of the things that we have aren’t necessary for life and that is what I want them to know. One thing I noticed about minimalists is that there is no color! All of the capsule wardrobes I see are blacks’ whites and neutrals, most minimalist home décor is mostly white with no color. This is an issue for me because I really love color. I don’t mind the normal minimalist décor I think it is very clean looking and simple, but color just gives me life! And it’s not just me that feels this way. Color is proven to have an affect on our mood and how we feel in general. 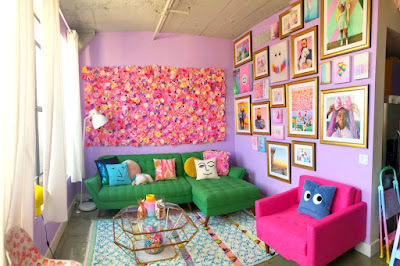 Walking into a house that is colorful just feels cozier to me. Same with fashion. I wear tons of neutrals and black and white in the winter but in the spring and summer I love to wear colors! I love to wear pink and I also love to wear lots of floral patterns. I need color in my life! As I’ve said before, Minimalism looks different for everyone. You don’t have to do the same thing that other people are doing. 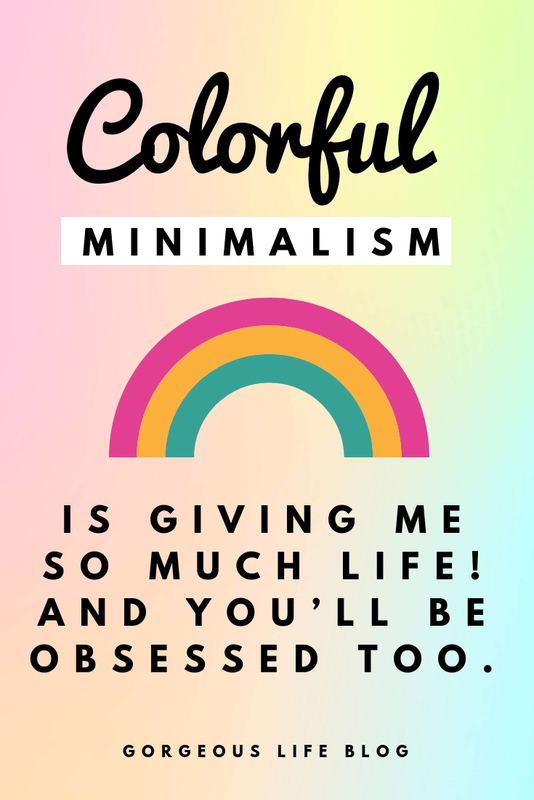 If you are like me and need color in your life, I have some tips on how to add some color to your minimalist life. This is one of my favorite colorful homes. It's Tasselfairy and she has done an incredible job making this house extra cozy and colorful. It gives me so much life! One easy way to add color to your home without doing something drastic like painting is to add art. Now I know that sometimes art can be expensive, but you can find awesome deals on art at hobby lobby, home goods, target, and other places like that. You can also purchase printable art on Etsy and have it printed at your local staples or print shop. This is perhaps the cheapest way to get some art in your life. It will make a huge difference in your home and will add tons of personality to your living space. I love throw pillows. Every year I must stop myself from spending unnecessary money on pillows that I don’t need. But throw pillows are such a simple way to add some color in your home. You can get them at home décor stars and if you really want to save storage space in your home you can buy throw pillow covers online so that instead of having tons of pillows you can just replace the covers when it’s time for a change. I love this and I’m already getting ideas for new throw pillows for our new house. Your clothes don’t all have to be neutral. You can still create a capsule wardrobe with colorful pieces instead of just neutral colors. The best time to do this is during the spring and summer. But during this time, I like to grab all the colorful clothing that I can possibly get my hands on. I like to buy plain colored pieces with no prints on them that way I can create tons of different outfits. If you are bold enough to do this, you can change your entire house with some paint. You can get tons of ideas from Pinterest and get to work. If you have a colorful house please let me know how you add that personality to it. I would love all your tips because I plan on decorating my new house with lots of color.